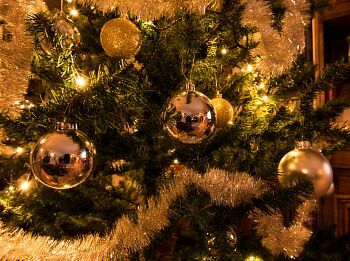 Christmastide ("Christmas time"), more commonly called The Twelve Days of Christmas and sometimes referred to as Twelvetide ("Twelve time"), is the festive Christmas season celebrating the birth of Jesus Christ. It starts on Christmas Day, December 25, considered the "First Day of Christmas", and ends on January 5 of the following year, on Epiphany Eve (also known as Twelfth Night). Christmastide encompasses a number of important religious and secular celebrations, including Christmas Day on December 25, St. Stephen's Day/Boxing Day on December 26, Childermas (or the Feast of the Holy Innocents) on December 28, New Year's Eve on December 31, New Year's Day on January 1, and Epiphany Eve (Twelfth Night) on the evening of January 5. 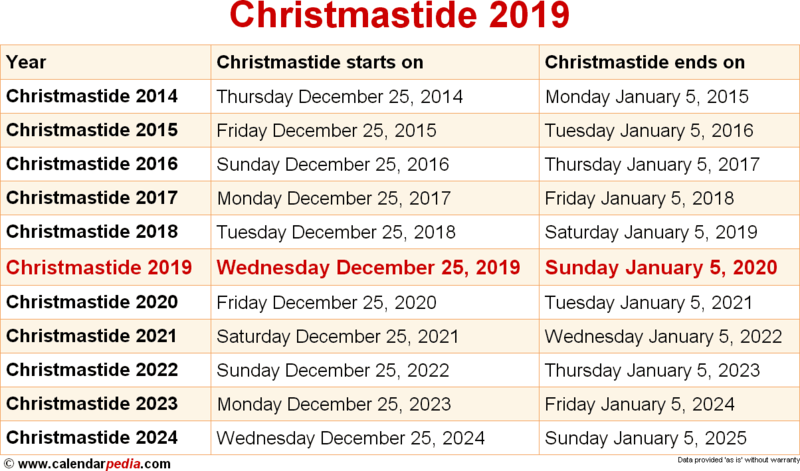 However, Christmas Eve on December 24 and Epiphany on January 6 are not part of Christmastide. Christmastide follows the Advent season and is followed by Epiphanytide ("Epiphany time"), the season of Epiphany. 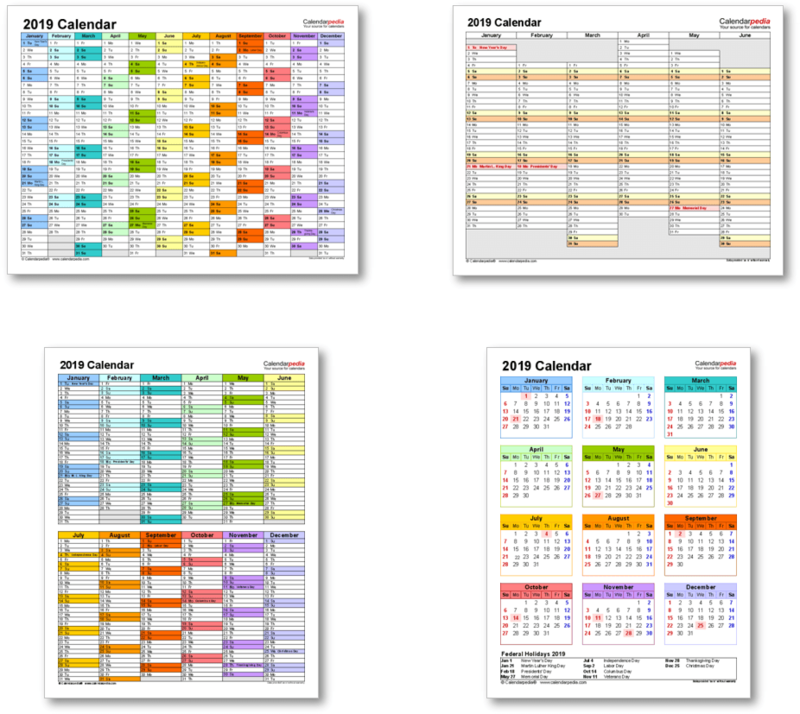 While for most Western Christian churches Christmastide falls on the dates listed on this page, for some Christian denominations it begins very late on Christmas Eve, while for others it starts on December 26 and last until January 6 of the following year or even further (ie. longer than twelve days). The next occurrence of Christmastide is marked in red.